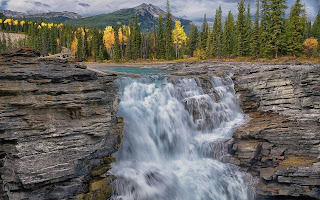 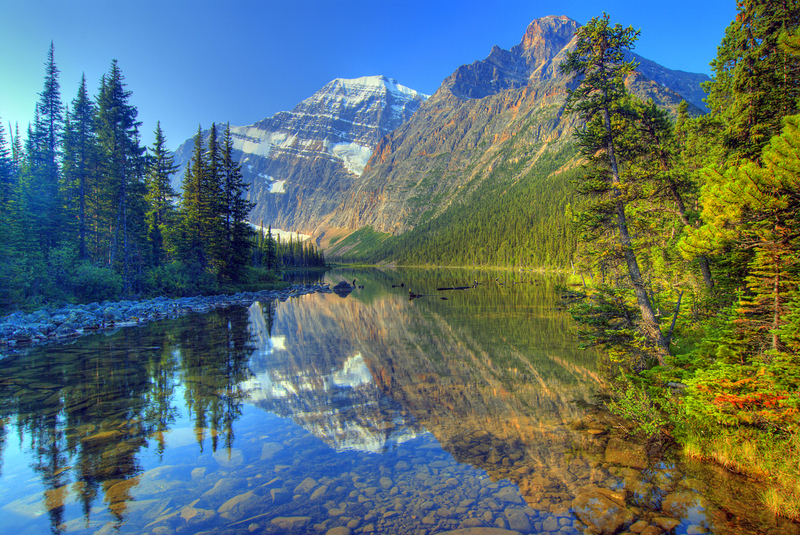 Jasper National Park is the largest national park in the Canadian Rockies, spanning 10,878 km2 (4,200 sq mi). 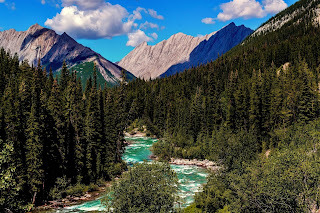 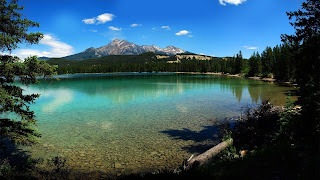 It is located in the province of Alberta, north of Banff National Park and west of Edmonton. The park includes the glaciers of the Columbia Icefield, hot springs, lakes, waterfalls and mountains. Jasper was named after Jasper Hawes, who operated a trading post in the region for the North West Company. 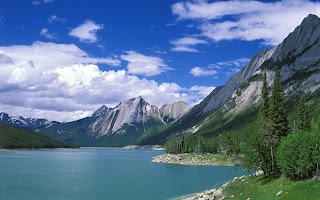 Before this it was referred to as Fitzhugh. 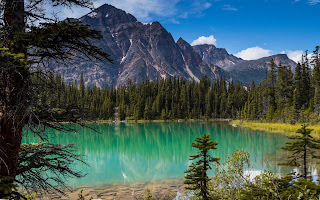 The park was established on September 14, 1907 as Jasper Forest Park, and was granted national park status in 1930, with the passing of the National Parks Act. In 2014, Jasper National Park had 2,154,710 visitors. 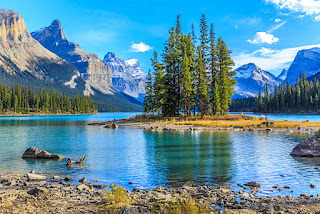 Mammalian species found in the park are the elk, caribou ( also known as Reindeer,) moose, mule deer, white-tailed deer, porcupine, lynx, beaver, two species of fox, marten, pika, grizzly bear, coyote, mountain goat, bighorn sheep, black bear, timber wolf, hoary marmot, cougar, and wolverine. The most common birds that fly around this park including raptors are bald eagles, golden eagles, Great horned owls, spruce grouses, white-tailed ptarmigans, bohemian waxwings, and evening grosbeaks. 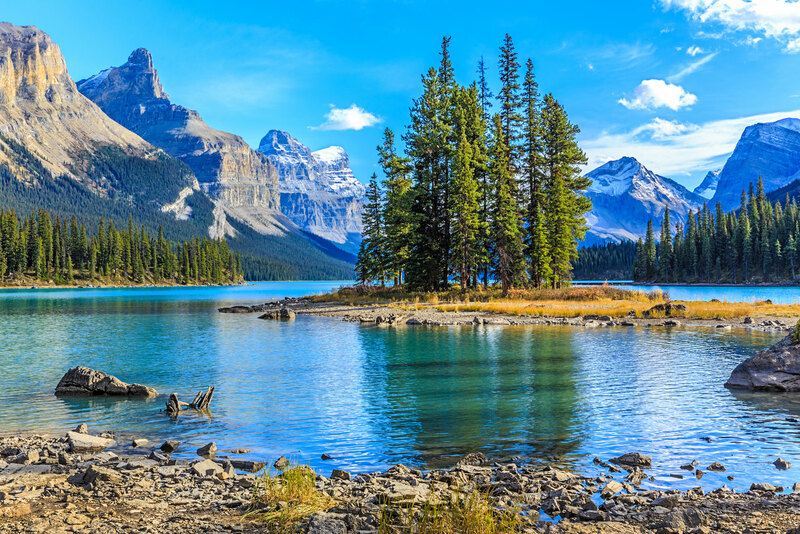 Canada geese and red-necked grebes mostly float on Maligne Lake. The park was declared a UNESCO World Heritage Site in 1984, together with the other national and provincial parks that form the Canadian Rocky Mountain Parks, for the mountain landscapes containing mountain peaks, glaciers, lakes, waterfalls, canyons, and limestone caves as well as fossils found here. 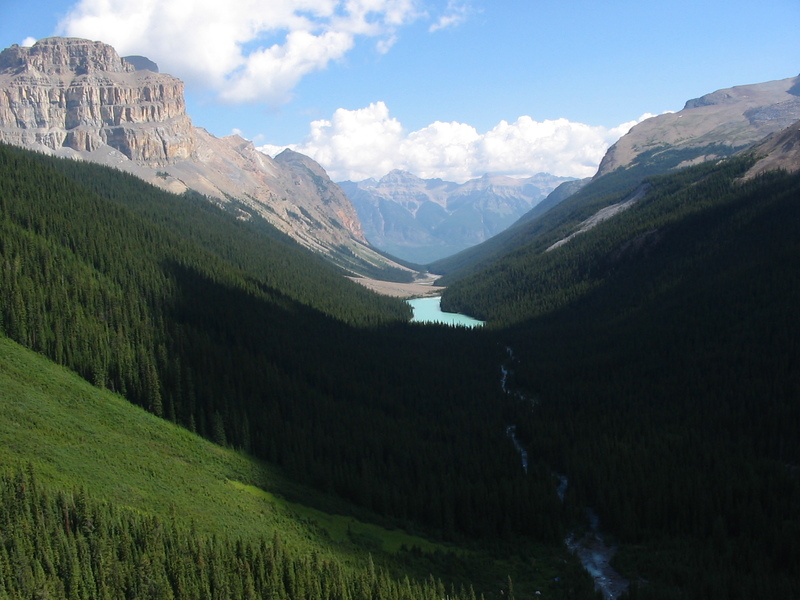 Major river systems originating in the park include the Athabasca and Smoky rivers (part of the Arctic Ocean basin). 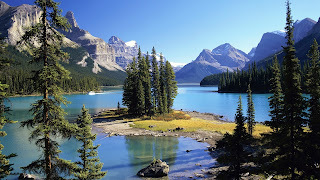 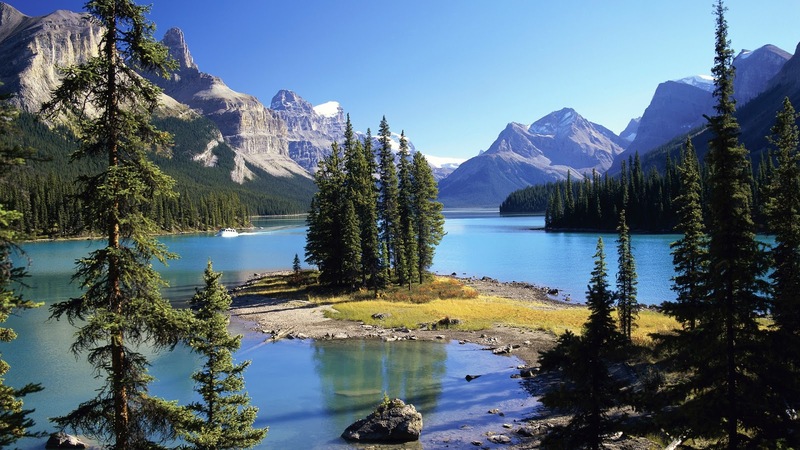 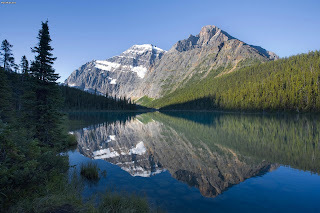 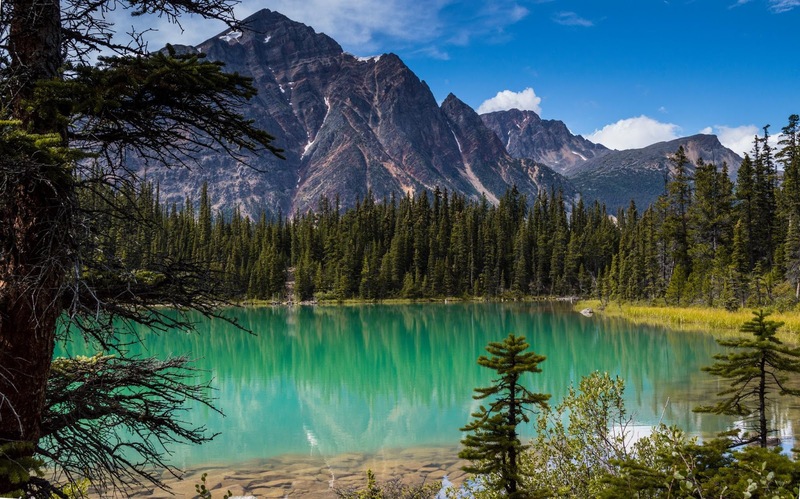 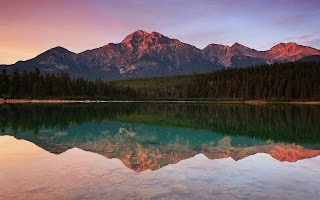 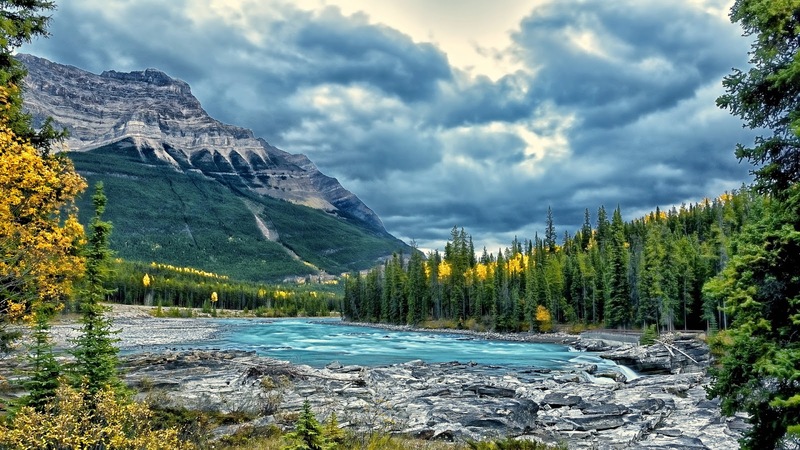 Some of the park's scenic attractions include Mount Edith Cavell, Pyramid Lake with Pyramid Mountain, Maligne Lake, Medicine Lake, and the Tonquin Valley. Other attractions are the Marmot Basin ski area; the Snocoach tours of the Athabasca Glacier, an outlet glacier of the Columbia Icefield; Athabasca Falls; the Jasper Skytram, and numerous other outdoor related recreational activities (such as hiking, fishing, wildlife viewing, rafting, kayaking and camping). The Miette Hot Springs are located close to the northeast entrance. 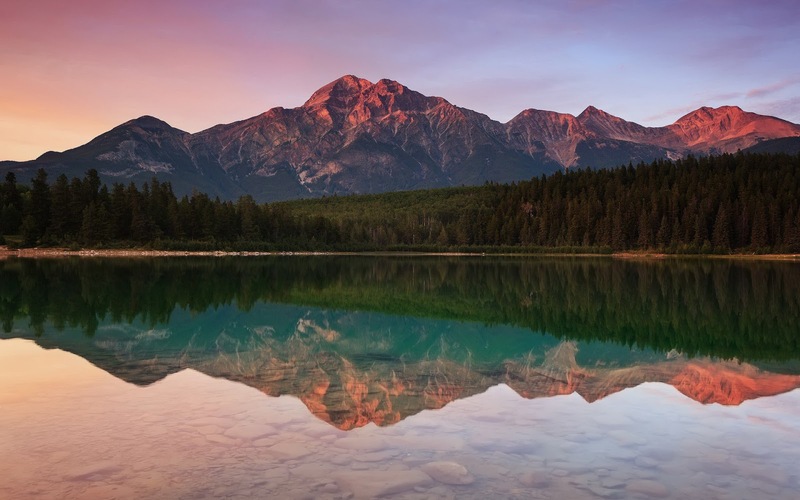 The Miette Hot Springs are created by an extremely hot spring cooled by the mountain to temperatures suitable for humans. 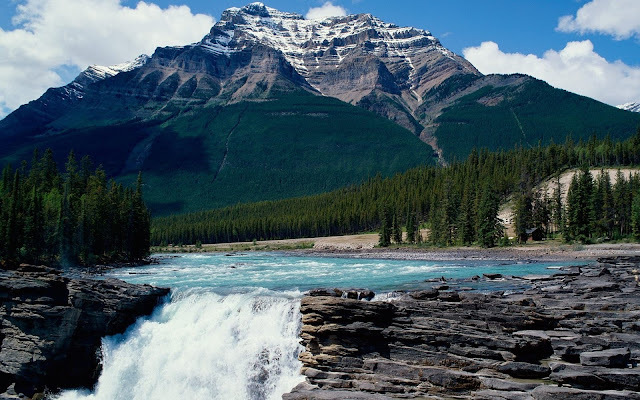 The Icefields Parkway is a highway 230 km (140 mi) in length from Lake Louise, Alberta in Banff National Park, to Jasper, Alberta. 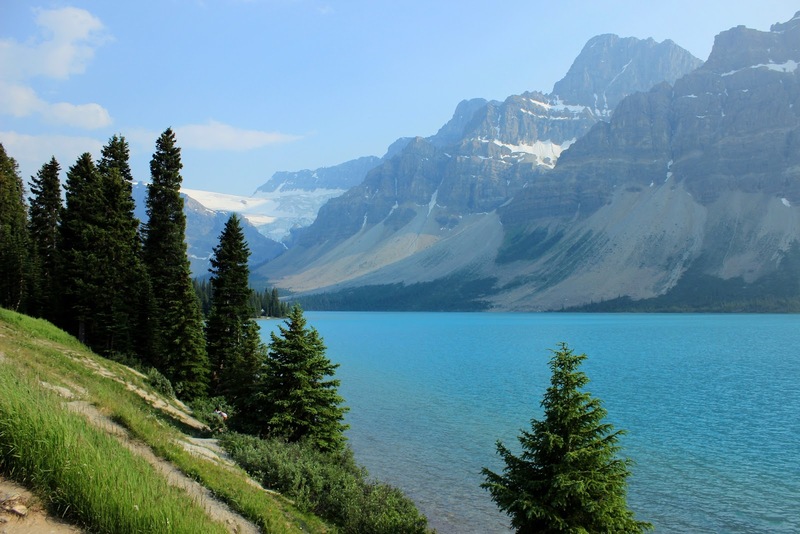 The highway parallels the continental divide, providing motor and cycle access to the mountains. 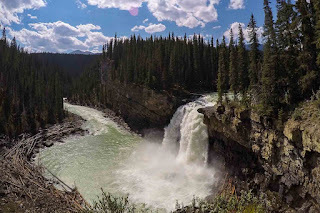 The Athabasca and Sunwapta Falls are both accessible by the road.